Yes it sticks to your fingers. It works on rashes. It doesn't burn the skin. It doesn't leak out of that convenient tin can. It is small enough to carry along everywhere baby goes. All babies get a diaper rash sooner or later and this is the solution along with keeping the skin clean and dry of course. 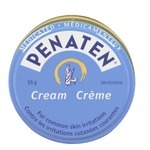 I highly recommend Penaten Original Medicated Cream for babies. 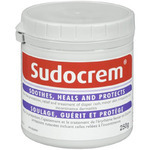 This diaper cream is a household staple. It is thick which makes it a bit difficult to spread on, especially on raw and irritated skin, but the thickness and paste like consistency is good because it just doesn't come right off when it touches the diaper. 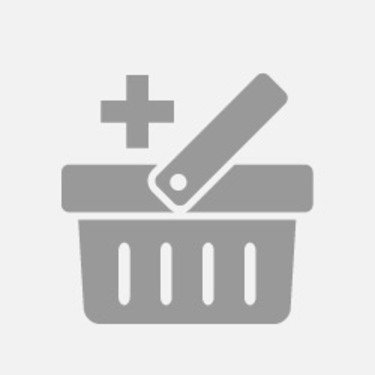 It doesn't seem to work like miracle cream after one use but after a couple uses of liberally spreading on affected areas it helps considerably to relieve my babies diaper rash. The container I am a little unhappy with, the lid seems pretty loose so i have to keep a rubber band around it. I swear by this for my kids! I use this cream on both of my babies ages 1 and 2. It clears up most diaper rashes over night, and has yet to fail us. I love how thick the cream is because when their bottoms are sore it doesn’t all get absorbed into the diaper and stays where you need it! I won’t use anything else on my children. Best product on the market for diaper rash. I've tried a few others but nothing compares to Penaten. My mom used it on all her babes and I will do the same. My daughter gets the slightest sign of diaper rash and out comes the Penaten. It's like magic! This is a must-have in every diaper bag for the simple reason that it works. It heals and protects baby's delicate skin and stops irritation in its tracks. Easy to use format. You can't go wrong with this product. I wouldn't waste time on any other diaper cream! I am a nurse in the neonatal intensive care. We have access to a number of barrier creams for our patients, but when there is a real rash that needs to be tamed, we get a doctor's order to use Penaten! I've never even bothered using anything else on my own kids. Penaten works, so I don't bother expirimenting around.